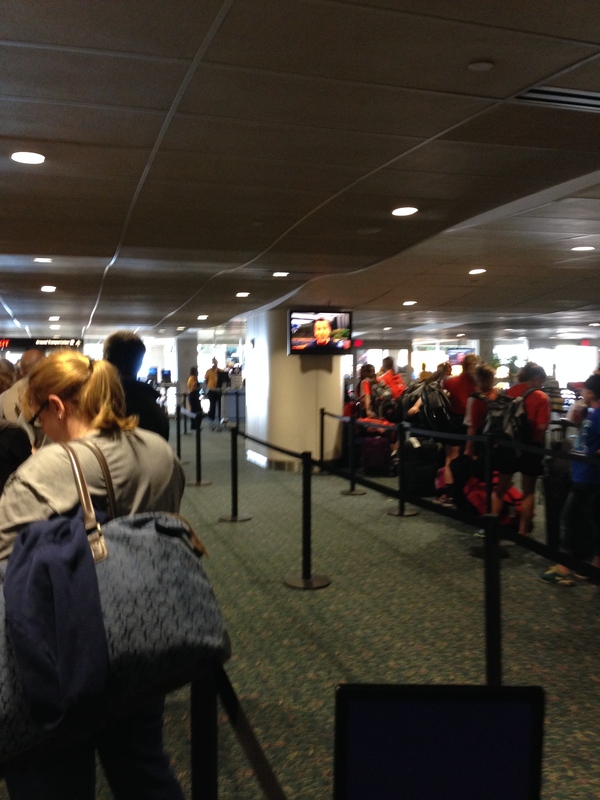 We managed to get an early non-stop flight and landed in Orlando around 10am. As usual we made a beeline for Disney’s Magical Express, this, for those of you not familiar with Walt Disney World, is their included transportation from the Orlando airport to the Disney resorts. This service is great, they take care of getting your luggage to your hotel too, unless you have a flight that lands after 10pm. So you go down to the level where the rental cars and buses are and way down on the end is the Magical Express area. You walk up to one of the friendly Disney castmembers and they scan your MagicBand(more on that later) and you are guided into the queue for the bus that will take you to your resort. Some buses make stops and more than one resort. 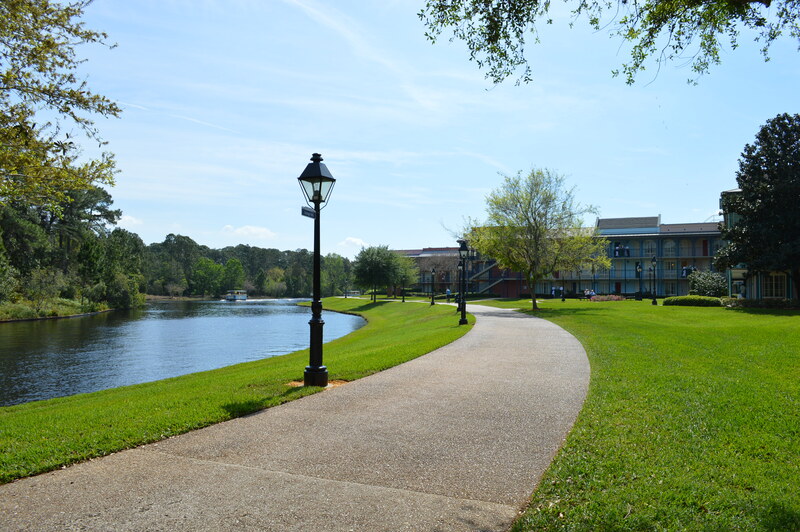 Once on your bus, sit back and relax, your vacation has begun! 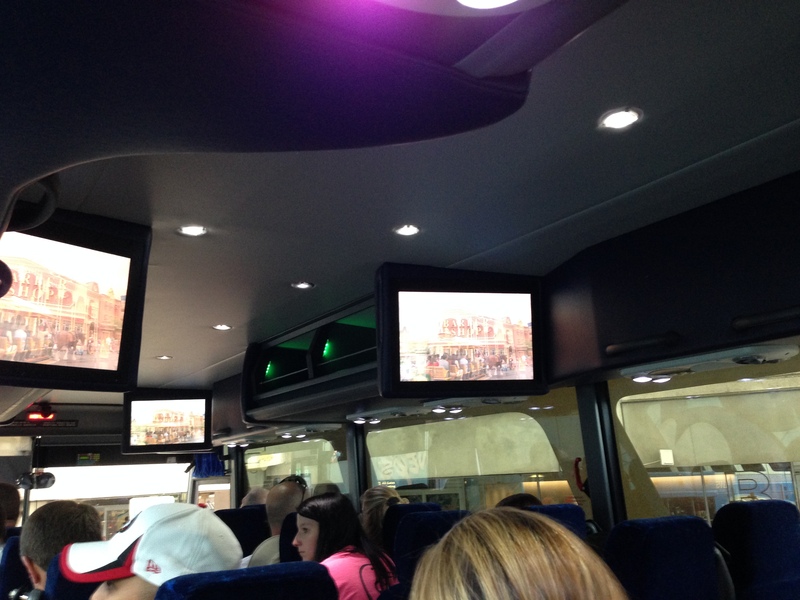 The monitors will provide some information and entertainment for the ride. Our first night we stayed at Port Orleans French Quarter, designed to look like the New Orleans French Quarter. We dropped our carryon luggage at our room and headed to Disney’s Animal Kingdom. We decided to start our trip with something different this time and scheduled the Wild Africa Trek for the afternoon. Our arrival day was a Saturday and since the crowds are heavy on a spring weekend we wanted an activity that would take us away from the lines and crowds. The Wild Africa Trek is a 3 hour guided tour safari, part walking/hiking and then a ride in a safari vehicle. 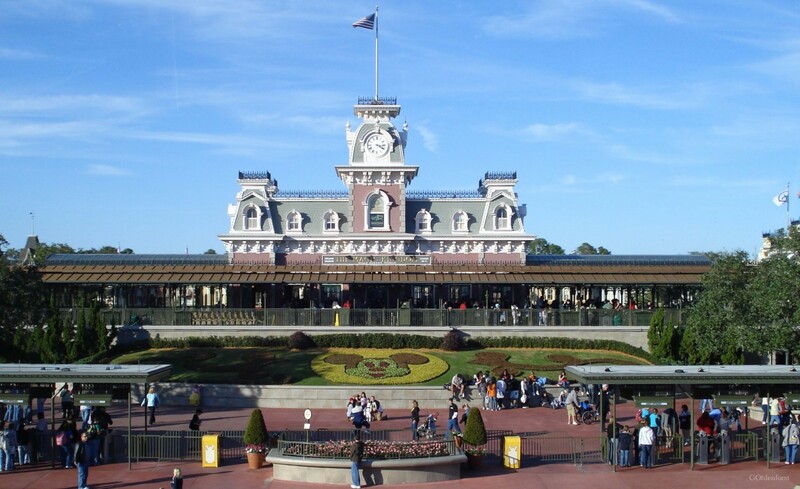 This tour is purchased in addition to admission to Disney’s Animal Kingdom. You go behind the scenes and are closer to the animals. 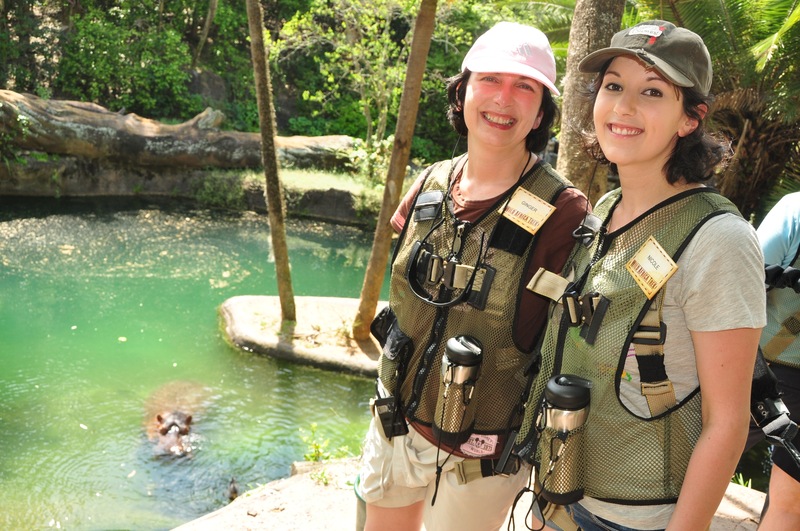 On the Trek you will encounter hippos, crocodiles, giraffes, rhinos and other savanna animals. The guides take photos during your tour for you, (it is included in the price), since you leave your belongings in a locker at the beginning. You are fitted with a safety harness to wear for part of the journey. Wild Africa Trek – hippo! There is a tether on the back of the harness that attaches to a track, so we don’t fall in by the hippo! We observed while one of the animal researchers fed the hippo some lettuce. 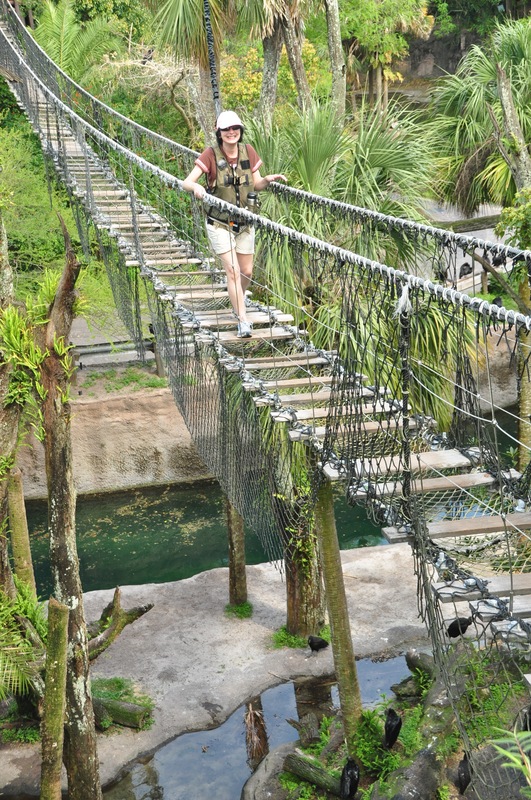 Further down the trail we crossed a wood and rope bridge over the crocodiles, makes you think of Indiana Jones!! Shortly after we finished our time with the crocodiles we were able to have the harness removed for the rest of the tour. We boarded a safari vehicle to go around the savannah and observed the grazing animals. Our vehicle brought us to a pavilion area for our lunch/snack which consisted of items with an African flair. They also served a delicious juice with the meal that was quite refreshing after the walk. We relaxed and watched the animals for a little bit then loaded back on the vehicle to complete our tour of the savannah. We had to sit tight at one point as there was a Giraffic jam, and all you can do is wait for the animals to mosey out of the path. We thoroughly enjoyed this tour. I definitely would recommend it. My daughter and I have been looking forward to today for weeks. It’s the day we get to make our fastpass+ selections for our upcoming trip to Walt Disney World. 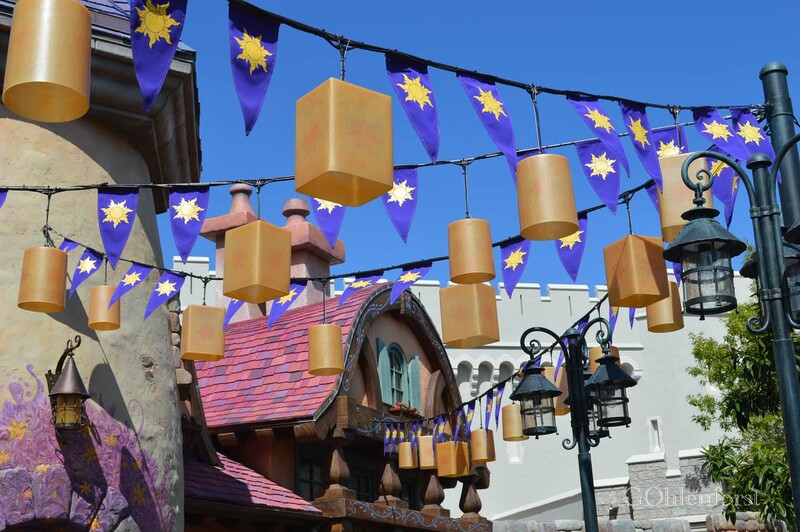 🙂 What are fastpass+ selections? 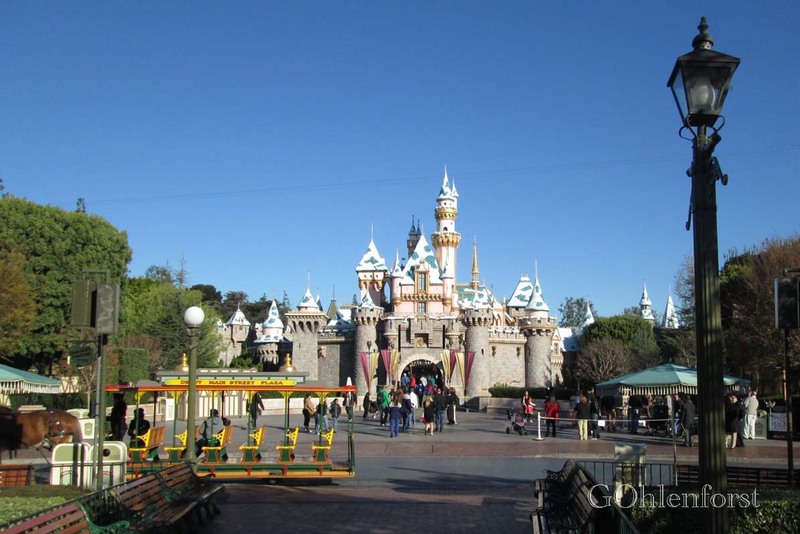 Well, the attractions that are the most popular have an option to get a fastpass. This is a time that is given to the rider to return to the ride and be able to pass up the regular line. Near the ride is a fastpass distribution area where you use your park ticket, put it in the fastpass ticket dispenser and out comes a slip with a time on it for you to return to the ride and enter the separate fastpass line. 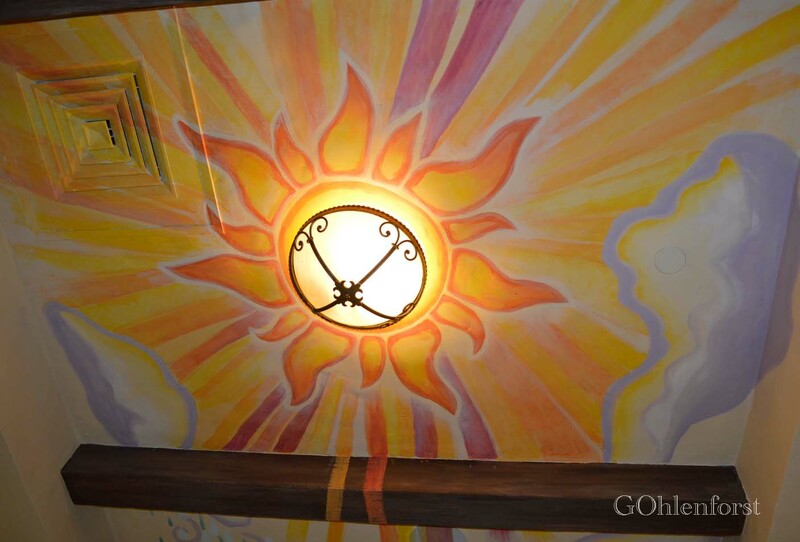 This allows the guest to enjoy other areas of the park while they wait for their time to return. This is one my daughter had left over from her trip to Disneyland this summer. Disney has updated their system and started the MyDisneyExperience website where you manage all your reservations, fastpass+ times, etc. So this morning we were like two little kids deciding which parks we would go to on what days and which rides we wanted for our fastpass+ selections. They limit you to three selections per day. For Epcot they divide the selections into two groups where you are able to pick one from the first group and two from the second. There is even an app for your phone which will (supposedly) allow you to change the time of your fastpass+ selection if your plans change. 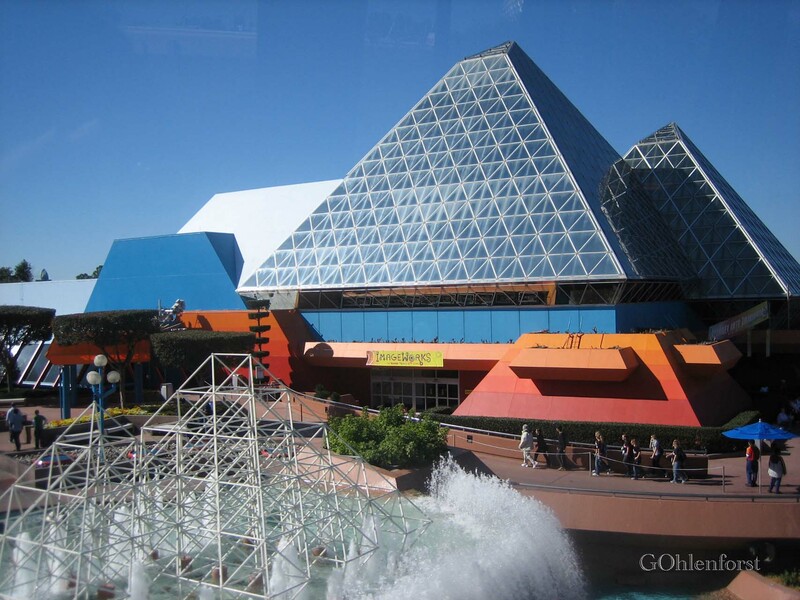 Disney has a video on youtube to demonstrate this:http://youtu.be/KHgJLAM4CNo One feature of the system we do not like is that it limits you to selections in one park only. We usually park hop so we are not fans of being limited to one park for fastpass+, but hopefully we will be able to obtain a fastpass at the second park on the day we are there. To use your selections you are issued a MagicBand wristband to wear that is your park ticket, room key, fastpass+ and link to other plans and reservations. This trip is just for my daughter (22 yrs) and I to enjoy some time together. We have scheduled a visit to the spa at the Grand Floridian and also an afternoon tea. Some of the restaurants we have reservations at are the Be Our Guest Restaurant located in the Magic Kingdom, Narcoossee’s at the Grand Floridian and the California Grill on top the Contemporary Hotel to watch the fireworks while we eat. 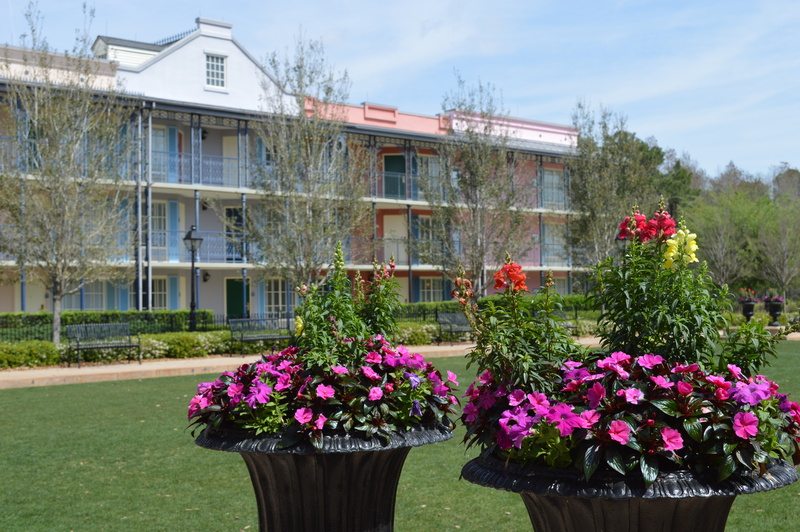 We will also be able to enjoy the Epcot Flower and Garden Festival which takes place from March 5 to May 18. We have been to this event before but that was in May, right near the end of the festival and after a couple of months the topiaries and displays are not quite as lush as they were in March. There will be plenty of photo opportunities! 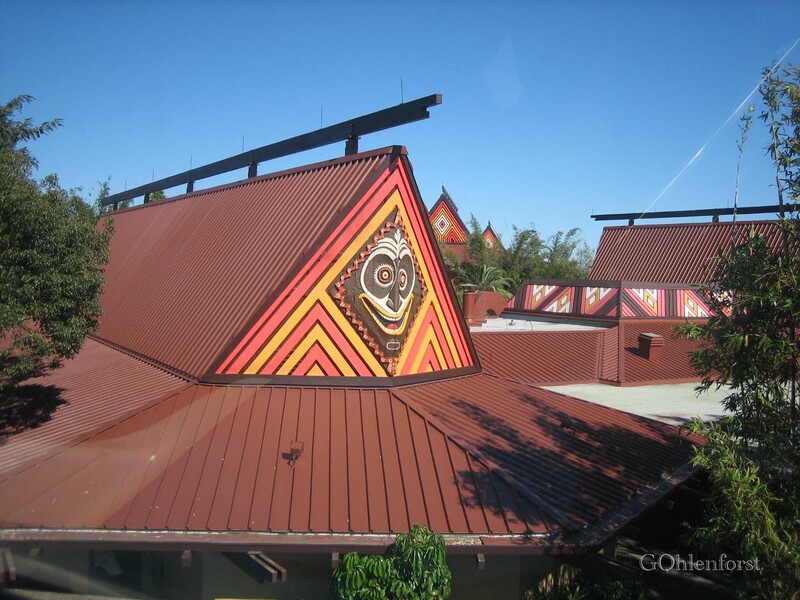 Kona Cafe is located at the Polynesian Hotel at Walt Disney World as indicated by this Google Map. This was one of our usual stops among the restaurants we favor, but last year they changed their menu and removed the Tuna Oscar. That was a sad day, a very sad day indeed! One trip we actually ate there twice because we couldn’t get enough of it. 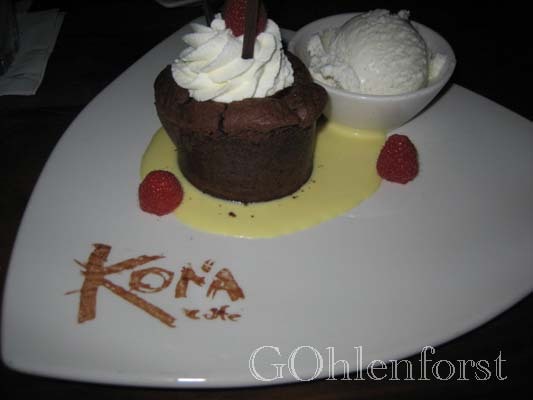 We not only go to Disney World to enjoy the theme parks but to also enjoy the culinary experiences. 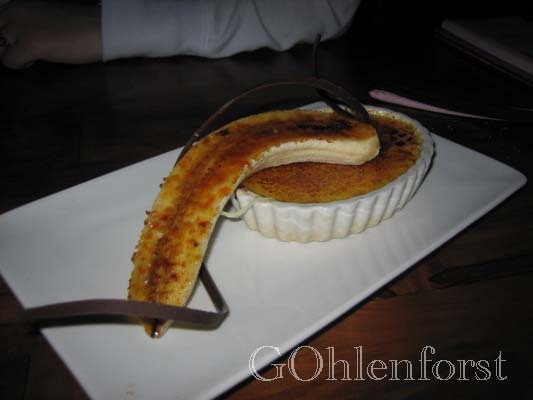 These are two of our usual desserts, the Kilauea Torte and the Banana Chocolate Creme Brulee. Both are delicious and I recommend ordering the vanilla ice cream to accompany the Torte as the chocolate is very rich and the ice cream will complement it. I will post a photo of the Tuna Oscar in a day or so when I locate the photo. These two photos were taken in January 2009. Even the bread there is wonderful and served with macadamia nut butter, Yum! I’m sure one day we will eat there again, if just for bread, butter and dessert!! !